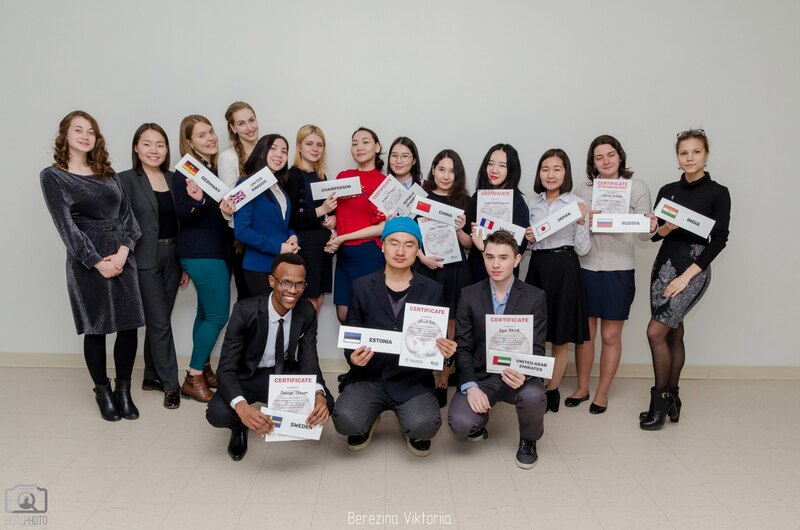 During the period from 26 March to 7 April the MUNRFE Vladivostok Club conducted the Round Table 2018 under the leadership of its Coordinators – Ms. Kamilla Dogui-ool and Ms. Alyona Plekhanova. At this event students discussed the problem related to the threat of financial crimes in international economic security. The program of Round Table lasted for 2 weeks with the set of lectures and trainings aimed at expanding of participants’ knowledge, their personal competence and in the sphere of International Financial Relations with the involvement of invited professor from FEFU School of Economics and Management, Mr. Maxim E. Krivelevich, specializing in finance with a focus on the World Economy. Experienced members of the MUNRFE also delivered lectures on topics related to the United Nations, Sustainable Development Goals, public-speaking along with negotiations and decision-making process. 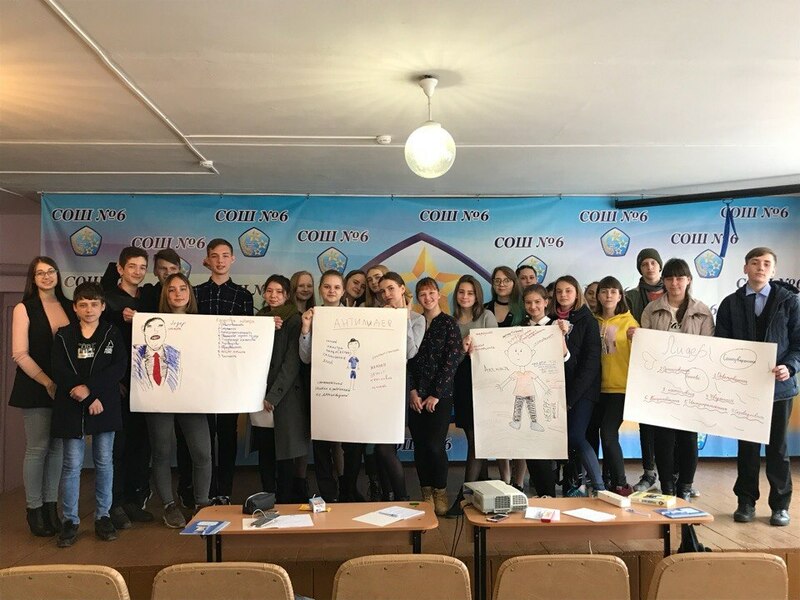 On April 2-4 members of MUNRFE Vladivostok Club namely its President and Vice-President Ms. Anna Timokhina and Ms. Alexandra Kosyreva respectively and Ms. Oksana Bozhenova, Ms. Polina Varfolomeeva, Mr. Egor Klimovich and Ms. Galina Salnikova took part in School of Leadership in Volno-Nadezhdinskoe rural settlement. 20 outstanding schoolchildren became participants of the event and listened to a set of lectures and trainings on the topics of leadership, goal-setting, team-work, public-speaking delivered by MUNRFE members. The project concluded with a Closing Ceremony attended by the Head of Nadezhdinskoe rural settlement – Mr. Stanislav A. Prokhorov who expressed his biggest gratitude to MUNRFE contribution. 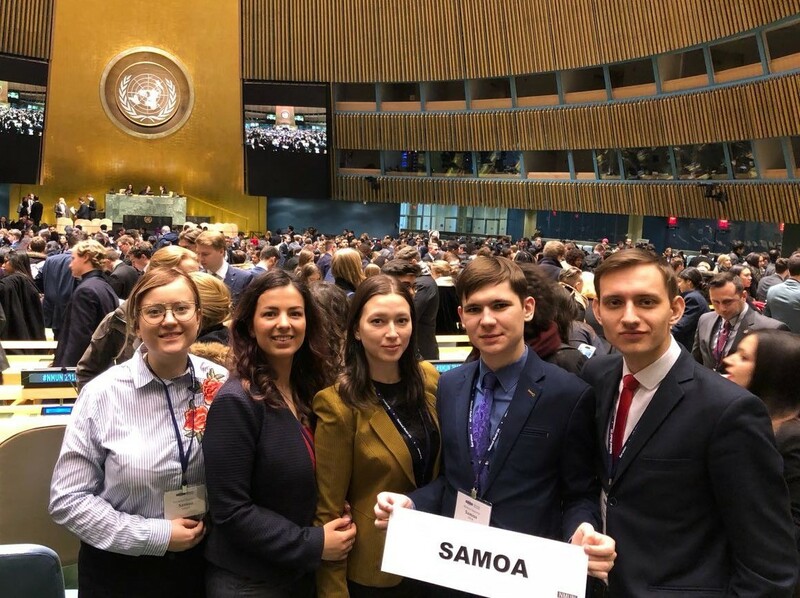 On March 18-22 MUNRFE delegation took part in National Model UN 2018 in New York, USA. This year the delegation was composed of the representatives of both MUNRFE Clubs: Blagoveshchensk Club President Ilya Kopot, Vladivostok Club Vice-President Aleksei Stanonis, Vladivostok Club members Diana Tereshchenko and Veronika Tkachenko, as well as delegation adviser MUNRFE Acting Executive Director Ekaterina Tretiakova. Having shown high level professionalism and debating skills as well as deep knowledge in the agenda items the delegation was granted with an Outstanding Delegation award as a result of the Conference. Additionally, the delegation adviser Ekaterina Tretiakova successfully came through the selection process and performed as a Chairperson-Rapporteur of the UN Population Fund during the Conference. On April 5 MUNRFE Governing Council Chairman Mr. Vitaly Savenkov along with Vladivostok Club Vice-President Ms. Alexandra Kosyreva and Ms. Aleksandra Chernysheva visited the WWF Russia Amur branch and conducted a meeting with its Director Mr. Petr Osipov. 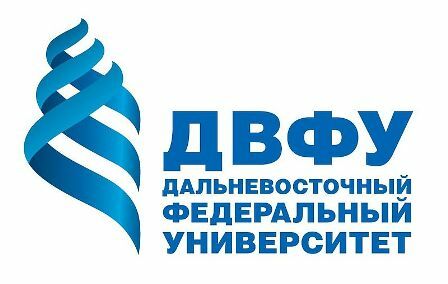 On behalf of the MUNRFE Mr. Savenkov expressed the deepest gratitude for the support and assistance provided by the Amur branch in frames of implementation of the Earth Hour 2018 in the Far Eastern Federal University and All-Russia Children Center “Okean”. Moreover, the parties had comprehensive negotiations about the promotion of the ecologic-related activities on the territory of the Russian Far East, especially in FEFU. Mr. Savenkov and Mr. Osipov discussed potential joint projects and initiatives, such as Climate Week, which is planned to be organized by MUNRFE in FEFU in May 2018, as well as further cooperation with WWF Russia and its involvement in Club activities. 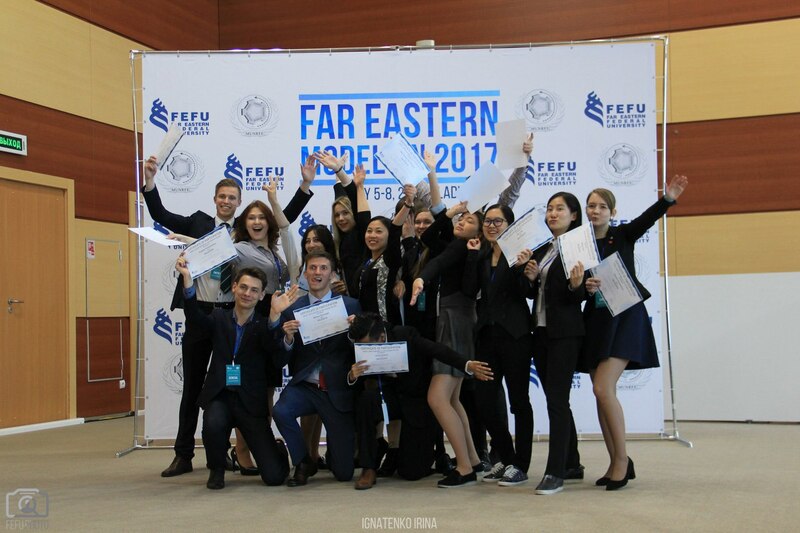 It is less than a month left until the beginning of the Far Eastern Model UN 2018, the only UN4MUN conference in Russia. It means that already in a month over 60 delegates from all over the world will perform as representatives of the United Nations countries and discuss measures to resolve the most crucial global problems. On this point, MUNRFE is glad to share with you some important information regarding the Conference implementation. First of all, the Grant Competition of FEMUN 2018 has been completed on March 31. Currently, the Secretariat of the Conference is thoroughly evaluating Motivational Letters and Essays submitted by the applicants. Moreover, more than 40 positions in the Committees which are to be simulated in frames of FEMUN 2018 are already occupied. If this regard, MUNRFE deems it necessary to underline that the registration process for FEMUN 2018 will last until April 15. Chairman of MUNRFE Governing Council Mr. Vitaly E. Savenkov was selected for a position of Security Council Director at WFUNA International Model UN in Agra, India which is going to be conducted from April 27 to May 1, 2018. The Conference will gather delegates from more than 15 countries who are going to discuss issues related to crime prevention, biological diversity, peace in West Africa and others. The significant feature of WIMUN events is that their simulation applies WIMUN approach which is the closest one to the United Nations’ real deliberations. It is noteworthy to mention that Mr. Savenkov has a huge experience in terms of UN4MUN events since he performed duties of a Secretary at WIMUN New York 2015, Security Council Director at WIMUN Agra and New York in 2016 and 2018, respectively. 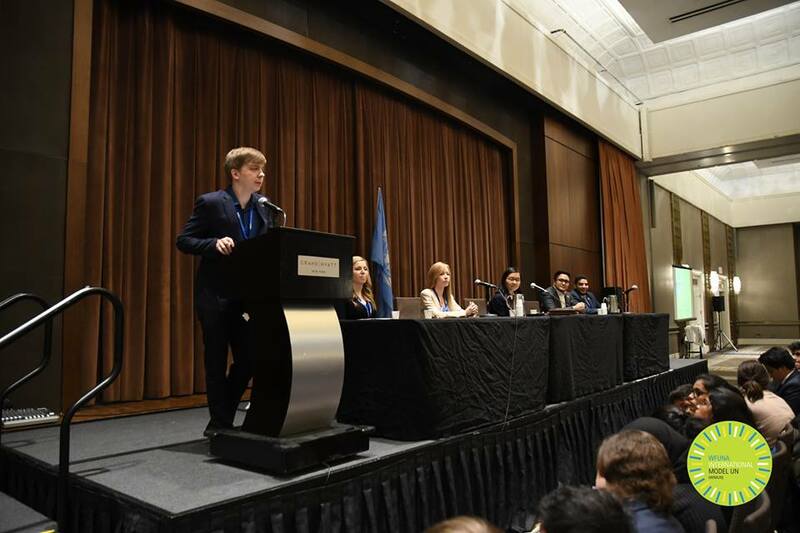 Being the only representative of Russia in the Secretariat, he has passed through a tough selection process and was invited by worldwide recognized experts in UN4MUN activities. In the beginning of the spring semester MUNRFE members, namely MUNRFE Acting Executive Director Ms. Ekaterina Tretiakova, MUNRFE Advisor Ms. Elena Kiseleva and MUNRFE Councilor Ms. Ksenia Shevtsova, Vladivostok Club President and Vice-President Ms. Anna Timokhina and Ms. Alexandra Kosyreva respectively as well as Ms. Diana Tereshchenko, were honoured to become the recipients of the scholarship for achievements in social activities. Moreover, MUNRFE members in persons of Ms. Ekaterina Tretiakova, Ms. Elena Kiseleva, Ms. Ksenia Shevtsova, Ms. Alexandra Kosyreva, Ms. Anna Timokhina, Ms. Diana Tereshchenko and Mr. Egor Klimovich were recognized as the recipients of the Scholarship from the Governor of the Primorsky Region. Being the citizens with the strong civil position MUNRFE members contributed to Russian presidential elections held on March 18. In terms of the Elections MUNRFE members, namely Vladivostok Club Vice-President Ms. Alexandra Kosyreva, Ms. Sophia Permyakova and Ms. Julia Nedelkina performed not only in the role of voters but also assisted as the Secretaries of precinct election commissions of polling stations located on the territory of Far Eastern Federal University (FEFU) Campus. Assistants were in charge of monitoring the transparent voting process, counting votes and providing the detailed reports on the work of the stations to the territorial election commission. 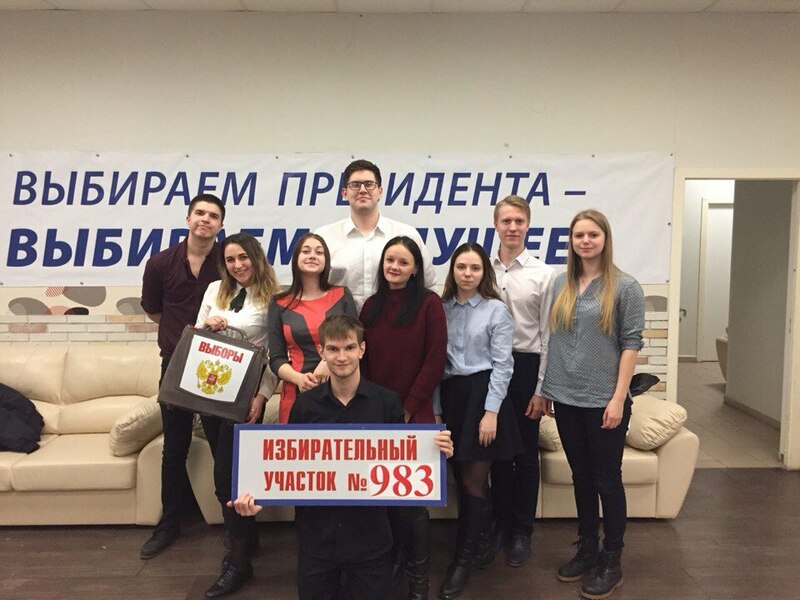 Overall turnout of students and employees of FEFU was marked as high and reached the index from 80 to 90 per cent on the stations that demonstrate their interest in the future of the Russian Federation. 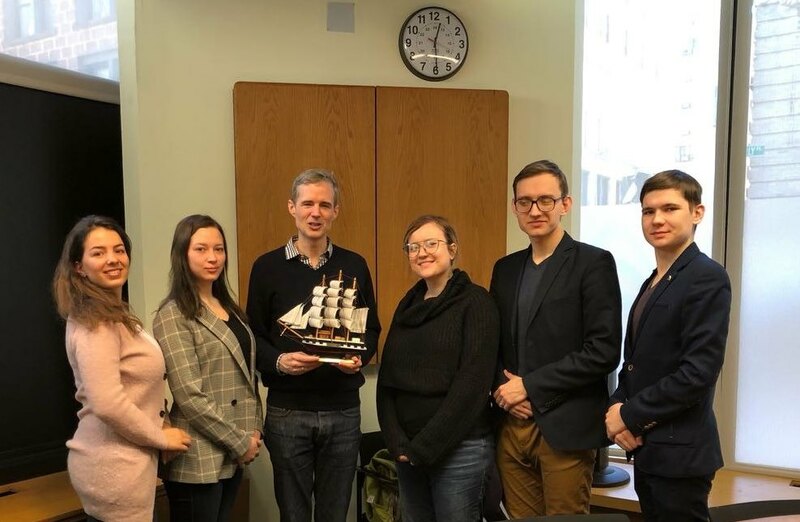 On March 26, at the final day of the trip MUNRFE delegation to NMUN 2018 visited New York University (NYU) for a briefing with Associate Chair of the Department of Anthropology Prof. Bruce Grant. Prof. Grant warmly welcomed MUNRFE representatives and gave them a short walk around the campus, including its main library, guiding them to the history of the University and its current state of affairs. Founded in 1860s as one of the first universities in the United States of America NYU was also among first accepting women and local minorities as students. Over the time the institution has been growing and today it is one of the biggest research universities worldwide with around 50 thousand students. 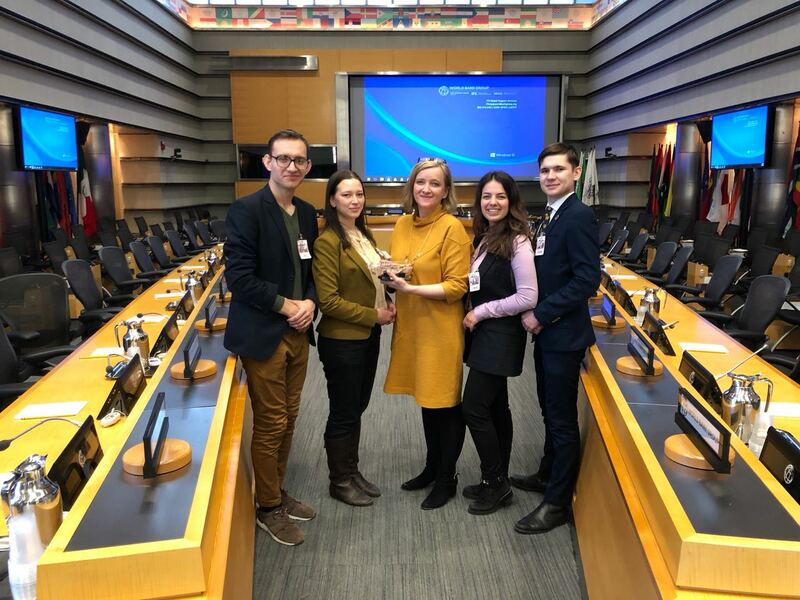 On March 23 MUNRFE delegation to the National Model UN 2018 was warmly welcomed to the World Bank Headquarters in Washington, D.C. The Coordinator of the World Bank in Russia program Ms. Dorota A. Nowak briefed MUNRFE representatives on the key activities of the World Bank Group, its structure features and challenges the Group faces. The following discussion covered Russian - WBG relations in frames of current instability in the international relations, step-by-step project implementation order of the Bank’s projects and questions related to the agenda items the MUNRFE team members discussed during their NMUN participation including mechanisms on ensuring gender equality, conducting WGB activities on a transparent and accountable basis and etc.